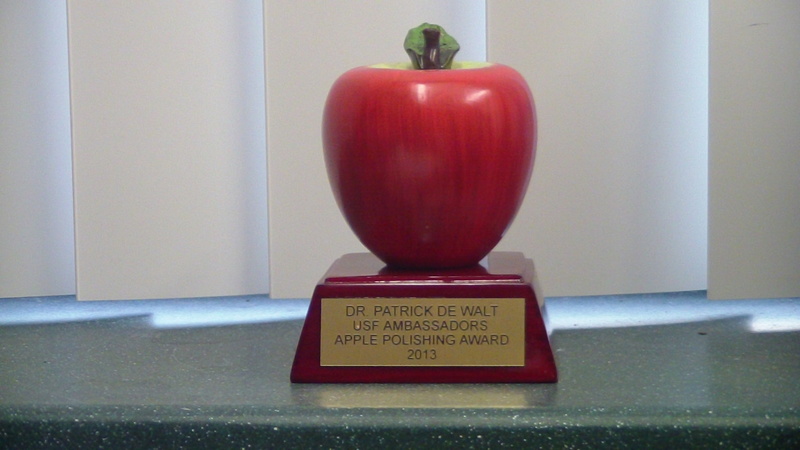 PSDW Reflective Journal | Patrick S. De Walt, M.B.A., Ph.D. Periodic journal where I reflect on what I’m currently engaging in with my current course(s). I have to look before that fateful day in 2003 when I tearfully left my safety net as a first grade teacher. I have to look before my years teaching while simultaneously attending graduate schools in pursuit of master’s degrees in business administration and elementary education/curriculum instruction. Honoring a father whose focus was leading a business that has endured many seasons and weathered a multitude of torrential storms, with some being self-inflicted. It is presenting myself with dignity, respect, professionalism, honesty, integrity, sensitivity, thoughtfulness, and pride as instilled into me by my family, extended family, friends, mentors, teachers, and yes, even my students. Honoring home means embracing the inner beauty and drive that is the essence of who I am. whether the situations are in classrooms, meetings, and/or other social settings. Over the years that I have taught and learned, I have always struggled with or been the cause of struggle for others when it came to the notion of patience. Whether this was as a fifth grader who was gifted but was easily influenced by his peers to deny his gifts. Or when I was a high schooler who made all types of wrong decisions related to learning and my giftedness. I did not understand what or why I was doing what I was doing beyond the limited vision that I had with the coinciding age. Yet, those who were charged with educating me both as a student and young man of African descent knew better. They, in retrospect, exhibited what I’m now calling “educational patience”. They hung in there with me by calling my parents, with mainly my mom visiting, to hear the latest development in my misguided decisions. They always talked in terms of my potential and promise with her which made their disappointment with me during those mishaps even more striking and pertinent to this post. I can so clearly see their faces and recall their names as if I were still in their respective classes doing whatever I was doing as I exemplified denial or the outcomes of stereotype threat, which I would learn about during my graduate experience. I can remember how their demeanors changed or were influenced by the things that I did that were not of their approval. My justifiable excuse, if those are truly possible, is that I was a young person who really did not understand what he was gifted with in terms of intellect, creativity, and character. As a result, I saw those qualities as deficits to who I thought I should be in order to be viewed as one of the “cool kids”. In every case and interaction, my teachers were exuding to the highest degree, educational patience. And with each enactment, they paid an internal price that I would not myself understand until I shared the role of teacher educator. Years later, my first encounter with educational patience met me in Houston, Texas while teaching the first grade. I inherited a group of children who I grew to love for so many reasons. They were students who, like me, developed reputations that did not always mirror who they really were. Working through personality conflicts and the normal activities of 6 year olds should not be thought of lightly, and I know any parents of this age group can attest to this statement easily. The energy that they expended through questioning and the need of repetition of educational tasks was something, as a new teacher, that I was not prepared for. Fortunately for me, I was a young tall man with a powerful voice and stern demeanor, I truly thank my father for modeling facial expressions that set definitive tones (I say that kindly, LMBO). Yet, to help my students develop, I often had to forget about where I wanted them to be in order to understand and support where they actually were. As many teachers often remind me, even now at the university level, that we often plant the seeds in students that we very rarely get to see grow. As a first grade teacher, watching my students grow or at least seeing their seeds take root was the greatest experience for me outside of seeing them physically change and grow. I must admit that I was always moved when my students lost their first tooth then proceeded to give me that open door smile, LMBO. Educational patience always took its toll on me, like my own teachers, yet in its own way. It hurt to see some of the situations and circumstances that my students were in. It hurt to see that sometimes I was one of the only adults who was invested in them. Sometimes my enactments of educational patience, resulted in additional roles beyond the one I was hired for as a self-contained teacher. Sacrifice is the name of the game when it comes to teaching students who may not have all of the world at their finger tips. Sacrifice can amount to spending your lunch break working on additional activities for students later that afternoon. Sacrifice could mean earlier morning check-ins in your classroom or late evening check-outs right before the janitorial staff/or principal makes the last call to go home for the day. Let us not forget the many weekends that are logged to complete grading and course development. Much of what my experiences as an elementary teacher taught me about education still reside in me as I now work with university students. Just as I did then, I struggled. I struggled with adjusting to the new context, the different students, and, more importantly, who I wanted to now be at this stage of my life. As a semi-newly minted PhD who had all of these aspirations and knowledge, at least in my mind, to achieve great things within the field of education. I was both so wrong and so right. I was wrong in that I made some mistakes that ultimately resulted from my unwillingness to be authentic with my students. I did not fully commit to being present with my students as I now know that I must always do. I must make myself both vulnerable and human in the eyes of my students. Not in a way that is forced but in ways that simply mean just being me. I was right in my belief that my students deserve and require so much from us as well as the requirement that they are also to bring all that they have to the task. I was right to believe that my students are knowledge holders and able constructors who have every right to be at this educational table with me. I was right in my belief that enabling learning is a harmful thing if you don’t provide them with the means and opportunities to develop independence and self-efficacy. I was right in my belief that their futures and the futures of the students who they will one day teacher are the most important outcomes in my role as an educator. I was right in my belief that I am a more than capable and passionate educator who wishes to impact the lives of those who I meet as I continue my journey. Ironically, as I confess to all of those who have taken the interest and time to read my thoughts reflected within these words, I am forever grateful to all of those who evoked educational patience at their own peril. That young 5th grader and high schooler has embarked on a lifelong quest to better himself and hopefully others through the valuable lessons that were afforded to him by each and every one of you. That first grade teacher who was the inheritor of such wonderful and promising young people is now a developing scholar and intellectual who cherishes the bonds that were forged so long ago. So I hope to be a testament to other educators who are also demonstrating educational patience. There are many more like me who are forever thankful for all that you have done. Please know that we attempt to pay it forward in our own unique ways with your influence in mind. One thing that I have come to embrace about myself, personally as well as professionally, is my passion for learning and seeing others excited and empowered within educational contexts. I often forget that the passion that I have is unique to me as other things are unique to others. This statement is how I also think about teaching. The more I teach the more that I reveal about myself and sometimes discover about my students. After teaching for as long as I have now, whether it was as a first grade teaching in Houston or as a graduate student in Colorado, I have been one that gets a reaction out of my students. Sometimes that reaction is hostilely posted on faculty teaching evaluation sites (I still have not really reviewed them), university student evaluations and/or the responses of my students after they are no longer bound to my class and its rules. The funny thing that I have found out about this process is that I am what I like to call, “An acquired taste.” Yes, this statement, as the previous journal entry laid out, positions itself as a dualistic perspective. But the data so far confirms it. My passion is one that propels me to want my students to excel and I push them to the point of discomfort. I challenge them even when I agree with what they may have said. I am and can be relentless in this regard, as many who have taken my course(s) might say. However, I know in my heart of hearts that I do all that I do for what I hope they will see in themselves one day–a promising teacher. Most teachers that I know have at some point in time referenced this saying, “You can lead a horse to water, but you can’t make it drink.” I struggled with this phenomenon so much as an instructor here in Florida, as I did while I was a graduate student in Colorado. I wanted all of my student to be nourished by the educational process that I so love in its non-conventional forms. I teach who I am and I push them to learn who they are, so that they can teach from those meaningful parts of who they are when engaging their students. I had a very interesting conversation with my graduate assistant today and much was revealed to me, both directly and indirectly, regarding how “Teaching Who [I am]” was/is my greatest strength. Yet, it is also the most challenging aspect of my role as an educator. My passion and perceived intellect can be too much for others even while I know that I have so much more to learn; because, as I have shared with my students today, “The more I learned, the more I realized how much I really didn’t know.” I teach from my mind and heart each and every time I step into a learning environment. I don’t know any other way to be an educator. And as a result of this way of being and knowing myself, whomever acquires an understanding of me and my pedagogy developed palates that allow she/he to engage in varied perspectives on a host of topics. They attain the ability to engage an eclectic personality and mind who only wishes to better himself and the community in which he is obligated to serve–our future generations of learners. My graduate student, after a lengthy conversation about the course and our preparation for future course objectives, reiterated a perspective on my way of teaching and it humbled me. In the midst of all the chaos of our conversation, key elements of my and my teaching philosophy were articulated–the allure in learning. This phrase is something that has stuck with me since my graduate days. It written and introduced to me by one of my graduate school professors–Dr. Daniel P. Liston. It, in essence, is one of the staples of what I begin each semester with, challenging my students to connect with their internal capacities for becoming the best teachers that they can be by confronting, engaging and/or understanding themselves in more critical ways. An example of this occurred today as my morning sections began to discuss chapter 5 of our text. 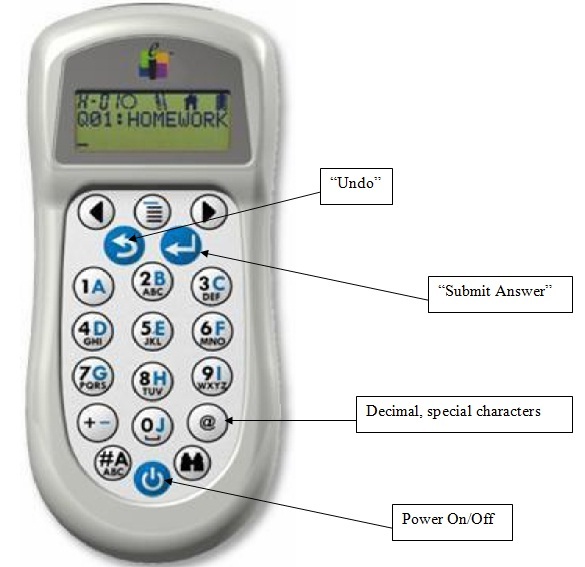 I asked my students to answer our “Clicker Questions”– Clicker is an interactive assessment tool that always for me ask students questions and get instant feedback– for the day. This question was a short essay that they were to answer about, “Is ‘race’ still in important part of U.S. society, yes or no?” As an introduction to this topic, I decided to not run from this feared word like many others do not only in our classrooms but in almost every other place in our society. This question also required that they expound on why they chose either yes or no. And I enjoyed hearing those who said “yes” explain their answers but I also enjoyed those who said “no” explain theirs. If you’ve read my previous post, there appeared to be a lot of Jekylls and Hydes in attendance during this topic. But I pushed and pushed the conversation and many of them took the risks of sharing their perspectives and why. I truly loved it! Because it was them engaging the tough topic wherever they were in their understandings within my classroom. These moments mean so much to me. 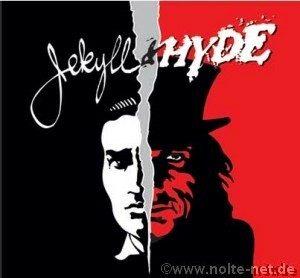 To hear a student who has been positioned as a Jekyll turn out to be more of a Hyde. Students gave ranges of responses that said, in a sense, while they didn’t want to use race they recognized that it was still impacting their lives. Others offered positions that promote ideas of humanism. I found all of the examples to be of significance and usable in this learning opportunity. So I took a few chances with them, I did an up down activity that I’ve done before with other classes. I had all of my students stand up and asked a series of questions (paraphrased and may not be out of sequence of how I did it in class, FYI): 1) If you are not male, please take your seat, 2) if you are not Protestant, please take your seat (ironically, after the completion of my lesson it later dawned on me that I misspoke), 3)If you do not own property (land), please take a seat, and 4) (what I would have concluded with had I needed it to) If you are not white, please take a seat. But in this case, there was no need to ask #4 because all of my 50+ students were already seated. In having my students participate in this kinesthetic exercise, I wanted them to think about how we, over time, have forgotten the sacrifices and injustices that have resulted from the application of race within this society. Now we credit “the founding fathers” of this nation without holding their actions accountable to not only communities of color, but also non-land/property owners and women who lived during the era. WE, through our contemporary gaze at history, forget that women and people of color only within a short period of time have (re)gained the right to vote and other important aspects of citizenship in the United States of America. And more importantly, if our students have forgotten or have not been exposed to this valuable information during their own schooling process; what makes us think that the students who they will some day teach will have such opportunities to critically engage these such historical moments that shaped and continue to shape this nation? I have often told my students that education is a “social experiment” and all involved are a part of this dynamic process. Much of what I do within my classes requires that I take some level or risk. Yet, as what those who have taught me proved only a few years earlier, that the risks we take both as educators and learners have immense power to help redirect and inspire others to keep learning. I am reminded of the many teachers–Mrs. Boone, Ms. Sullivan, Mrs. Terry, Ms. Carson, Mrs. Gobert, Ms. May, Ms. Defibaugh, Mr. Lavergne, Dr. Sigren, Mr. Haynes, Mr. Knowles and the list could continue–who shaped a path for me that I could never have imagined, yet am proud to now travel…. So the question becomes for any other educator and/or learner who took the time to read this, “What does your mirror show? Parker J. Palmer (1997): The Heart of a Teacher Identity and Integrity in Teaching, Change: The Magazine of Higher Learning, 29:6, 14-21. Teaching yesterday, and periodically at other times over the last 2-plus years, I have found myself in very interesting moments with my students. In those situations, I am not always sure where they are in their understanding of the course material. In terms of what I see as the beauty of learning, I find that I have a very dualistic perspective on student engagement. It is either the exchanges/displays of engagement are abundant (good) or not at all (bad)– as the saying goes “quiet as a church mouse.” As I stated in my earlier post, “I’m greedy” when it comes to my students having their own educational epiphanies. Since I clearly know this about myself, as a person as well as an educator, I found that I have, for this entry, concretely framed this thinking in a very dualistic way by using the characters Dr. Jekyll and Mr. Hyde. As many who are familiar with this story can clearly see, these characters represent the joys and challenges of what education can be and/or how we may see our students’ level of engagement at times. While I do not want to give off the impression that I think or feel that all of my students are “evil” or “sinister.” I do want to use this example as a way to highlight how a person who loves seeing others have these moments–where you can easily see when students are actively engaged–as the Jekyll experience as opposed to when they are noticeably not engaged or what I’m calling the Hyde experience. In teaching a course on diversity, I am always amazed at the ways in which students enter this space based on their prior knowledge, what they’ve heard about me or the course, and/or where they are in terms of their academic ability. When thinking about the positive aspects of the learning experience that occurred in my Monday classes (January 28th); students posted terms on the board that they felt were significant from the chapter on immigration. This activity allowed me to see what terms or concepts they clearly grasped through their explanations of the terms followed by their linkages of that term with those their peers also placed on the board, in a sense creating a word web. Such terms as xenophobia, Americanization, nativism, English-Only and among others were highlighted. As I pushed students to 1) post their terms, 2) begin to articulate what it meant for them, and 3) how does it connect with the other terms on the board; I began to see what I love most about the class and teaching, students owning the material. I could see a level of trepidation on some of their faces as they were waiting for me to confirm their thoughts and/or answers, but they kept on going. They began to prove critical thinking skills as they not only linked terms together but also began to make connections between the terms and current events. In some cases, I had to facilitate the discussion more or perform a quasi-lecture, but the process still was guided by their own positioning and comprehension of the text. I had a hard time holding back my pleasure in seeing her provide me with a key talking point to redirect my students’ thinking in terms of how these terms are symbolic of two divergent ways of viewing a belief in/of a particular country/nation. They were getting it and being critical in the process. As in most cases, I, as the instructor, care more about the process that my students take than often the content that helps us to get there. I have, depended on the content, taken a 70% process and 30% content philosophy when it comes to teaching. I totally believe that if they have a process for critically thinking they inherently will master and comprehend the content presented to them. These moments are what inspires me to love and continue teaching more than I ever thought that I would. Often these educational epiphanies help me, as I know for other educators who are in the educational trenches, recharge when the lesson or activity engages the other side of the learner–Hyde. I find this experience to be one of the most challenging aspects of the profession beyond the politics and bureaucracy that has continued to engage education, the unengaged and/or non-risk taking learner-Hyde. As I thought about using these two polarizing figures to frame my post, I really hope that no reader takes away that I am condemning any of my students because that is not the case. Instead I see it as two polarizing ways that students have often been socialized to receive learner (I will revisit this thinking later). Non-verbal communication has been one the most interesting features of Hyde learners especially when discussing topics on diversity. Over the almost 3 years of teaching at my current university, I always find the level of trepidation and/or resistance to engaging these sometime difficult topics very fascinating. Was it any different during my graduate school experiences? Often it was very similar, the students who displayed some level of critical consciousness were the active ones and asking all the question or pushing the discussion forward. The students who did not seem to posses any critical consciousness appeared to be apathetic and placeholders for the course to make its required student count. When talking about the tough subjects in my diversity course (e.g., race, sexism, whiteness/white privilege, heterosexism and religion) my Hyde learners’ body language betrayed them. They sink back into their seats or they provide even less eye contact than normal. Their faces develop deeper frowns and/or scowl that could be interpreted to be directed toward me or their feelings about the contact. As I remind my students of the “two-way mirror” that is the interpretation of one another within the teacher-student dynamic, they sometimes look perplexed that the teacher could also make assumptions about their students simultaneously as they make their own assumptions. I like to address this periodically as I remind them of the potential cognitive dissonance that they may feel when entering this educational space. These instances with my Hyde learners does wear on me at times. I have to be honest about that. As an greedy educator, I always want to get the best from my students or at least to see them acknowledge themselves in the learning process. For me, giving up is not a viable option when my students seek to be future educators. There is too much at stake for me to expect anything less from my students. The most fascinating part of having Jekyll and Hyde Learners in a diversity class for future educators is they way they engage and disengage each other. Non-verbal communication is so critical to observing these exchanges. The different displays of energy about a topic and the level of risk that is taken by these polar opposites is striking because depending on the topic one student can shift from Jekyll to Hyde and back. Knowing this requires me to be able and willing to know when to push, be patient and/or insert some form of transitional strategy (which I’m finding humor to be a good tool). Webster’s Online Dictionary defines epiphany as, “(1) : a usually sudden manifestation or perception of the essential nature or meaning of something (2) : an intuitive grasp of reality through something (as an event) usually simple and striking (3) : an illuminating discovery, realization, or disclosure”. All of these definitions capture the beauty of teaching in today’s classrooms. These are some of the most meaningful moments for any passionate and caring teacher. As a university faculty member, I am no different. This set of feelings about education and seeing my students have their own educational epiphanies has led me to write this latest reflection. While the cognitive development of all of us happens at different rates and times, it is such a wonderful sight to see those who you are charged with supporting their learning process have these moments of revelation. No matter the level or degree of that occurrence, I find great joy and pride in being a witness in their classroom. I am an active participant, but never the only holder of knowledge. Talking with my students and/or anyone about moral reasoning in a critical way is always an interesting activity for me. I often find myself immediately analyzing their responses to the material and each other in the midst of our class discussions or my mini-lectures. Today’s classes provided me with more opportunities to engage the ways in which others see or don’t see this topic–I use Perry’s theory of moral reasoning. These four stages: 1)Dualism 2)Multiplicity 3)Relativism and 4) Commitment are staples for my course on diversity. Through these stages, I challenge my students to critically evaluate not only their environments, but their own ways of thinking. 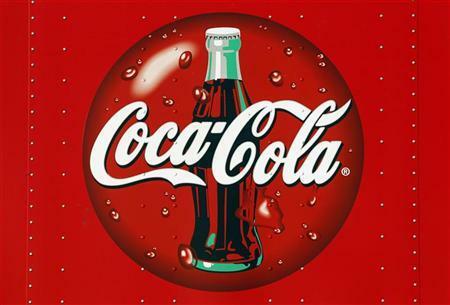 Using Perry’s model, I provided examples using concrete images such as referencing how this thinking can be applied to how they have preferences for Coca-Cola and its o ther brands of soft drinks (I found that using this as an example allowed for more students to connect with the activity). Using this concrete way, I stumbled onto a means to concretize this concept beyond some abstract notion to a concept that they can see in themselves and others with time and practice. Moreover, it served as a place holder for them use until they were able to conceptualize their own examples–ownership (potential point of humor)!! This moment of student ownership is one of the most rewarding times to me as an educator. I view educational epiphanies as students’ first steps to educational ownership or, more importantly, them owning their paths in their educational journey. The other beautiful thing about this process is that you see students begin to take educational risks. I often don’t provide students with affirmation of their answers to allow for them to grapple with their own thoughts independent of an immediate assessment that they may be accustomed to from the prior educational experiences. For me, this is a risk that I’m willing to take because I seek to offer students opportunities to share their thinking as opposed to silencing them before they even speak. Yet, I honestly admit that this is one of the hardest things for me to get students to buy into, based on how they’ve often been socialized to learn and demonstrate their learning. It’s almost like fighting Iron Mike Tyson in his prime (Yet I haven’t given up though). What do I really value in terms of education? How important is the content that I’m teaching compared to the process in which I want my students to undertake? How much of me do I really wish to share with them while providing the space for them to be who they are and need to become? Do I want them teaching the next generation of learners? Do I want them to make the same mistakes that I made when I was teaching as a public school teacher (1st grade and 3rd/4th grade)? I find that these questions are always on my mind when I’m preparing lectures, class activities, and/or talking with them or others about them. This collection of questions are my basis for much that I do as an instructor and field experience coordinator. This collection has a vice grip on my consciousness in very interesting ways. These ways, I have decided to share in this new component of my blog. In a similar fashion to what I ask of my students to do in the course that I teach regarding “Diversity”, I will also participate in by writing my very own reflections for whomever accesses this blog to read and make their own assessments. My reflections will be based on what occurs in my classes without providing details that easily identify anyone. Instead, I wish to take the overall thoughts that I have from those moments with my students and share them. While some may wonder what makes this different from the “Educational Trenches” section of my blog, I decided that I wanted to support that space for other educators as they and their stories were/are meant–to take center stage.